Mushrooms have an extended season from May to December and are generally available year round in grocery stores. Even so, our COO, Kevin happens to love mushrooms, so we'll call the beginning of the official season a reason to celebrate! Mushrooms come in a variety of shapes, sizes, and colors. 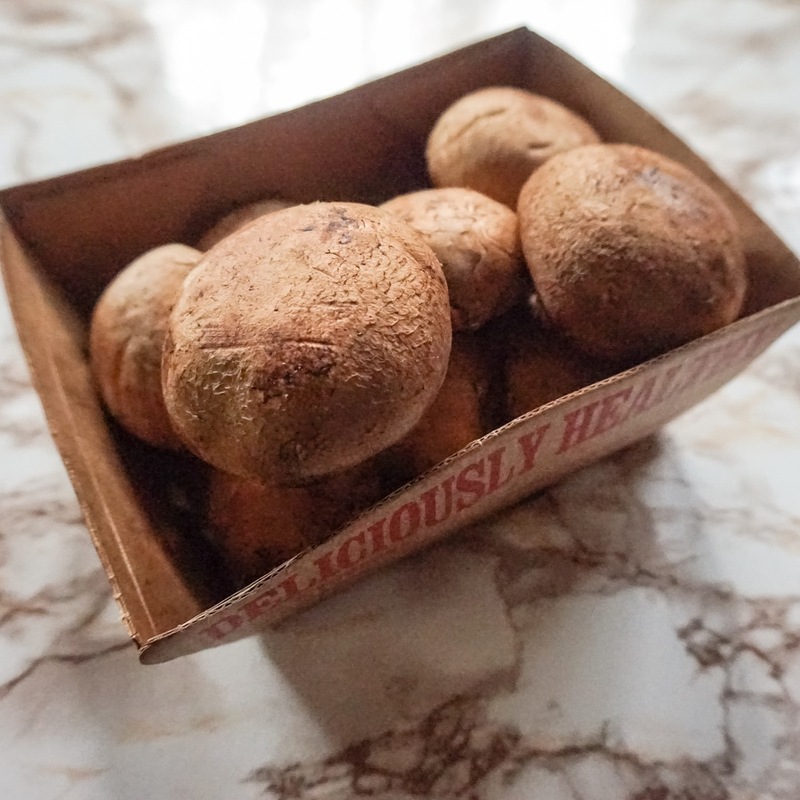 Most of us are familiar with the small white button and large portobello varieties, but creminis or "baby bellos" fall somewhere in between and tend to get less love. We favor these guys because they're mature enough to add depth of flavor and small enough to be quite versatile. We brought out our slow cooker and some fresh creminis to start the season off right. Add chicken breast to Slow Cooker. Pour cream of chicken soup. Cover and cook until chicken reaches 170° F (77° C), approx. 3 hours. Season with salt, pepper, and spices - We chose fresh rosemary - and serve. We won't judge you for opening a can of condensed soup, but if you have access to a kitchen and a few minutes to spare, we recommend whipping up this fresh alternative to canned Cream of Chicken. Over medium low heat, melt butter in a small saucepan. Once melted, whisk in flour; continue whisking until smooth and bubbly. Remove from heat; whisk in chicken broth and milk. Return to heat and cook, stirring constantly just until mixture reaches a soup like consistency. Want to keep up to date on recipes, news and events? Mushroom Chicken recipe adapted from Homemaking Hacks. Cream of Chicken Soup recipe adapted from Buns in My Oven.